Make your next trip a rafting one. Choose from a variety of rafting companies, mostly North American based. All kinds of information about taking a Grand Canyon Rafting Vacation. Rio Chama and Rio Grand Rafting outings offered by New Mexico River Adventures. Learn more about these exciting trips, find the one that suits you, and prepare to have a wild whitewater rafting adventure! 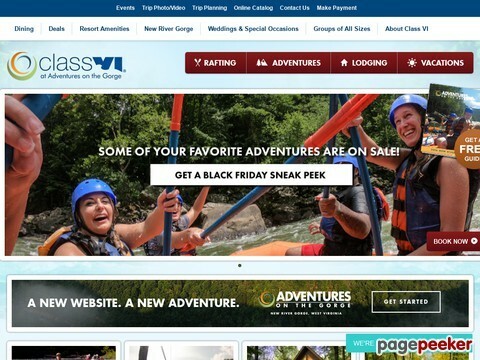 Looking to go river rafting in Tennessee? Rolling Thunder River Company wants to take you down the Ocoee River! Find out about these available trips and get ready to have fun!